MMM Nigeria, Is it a Scam or Ponzi? Home MMM Nigeria, Is it a Scam or Ponzi? Since I came across the mention of MMM Nigeria on facebook, I paid no attention to it as I felt that people would by now know a ponzi scheme from legit investment. I also saw in my feed the statement from the Securities & Exchange commission, warning the general public of this scheme. Life went on for the next 3 days or so, then my younger brother called me up, asking for my advice on whether it was OK to invest in it, and then I knew I had to take action. Neither I nor my brothers are newbies to these sort of schemes. I lost $200 around 2003 to an HYIP scheme which operated on the back of the digital gold currency, e-gold. My brother lost around 200K to penny-wise when it went bust circa 2007. This instance however, he said that a lecturer of his put in some money into MMM Nigeria (I am guessing around 500K) and claimed to have been paid 800K…and so many other friends were cashing out. Very catchy I must say. The ignorant are being propelled by the current economic hardship. The experienced are getting in (early) with a plan to do a couple ins and outs, plan not to get greedy with the ins, hope to get lucky enough to get out just before the scheme collapses on its own weight…and they’d have made “something” out of it eventually. Either way, in a few weeks or months, some unlucky people will lose their hard-earned principal; and because of the way pyramids look – and work, the majority of losers would not have even EVER earned an interest. Imagine the bitter taste of realising you just helped MMM fleece your mother or friend of their hard earned cash. So, no guarantees, no intermediaries (big lie), no oversight, no rules…oh AND YOU CAN LOSE ALL YOUR MONEY too. How comforting. There is so much literature on the collapse on the global MMM entity which you can read here, here and here. You see, the MMM that collapsed in Russia and South Africa (amongst 9 other countries) is the same that has found itself into Nigeria as MMM Nigeria. 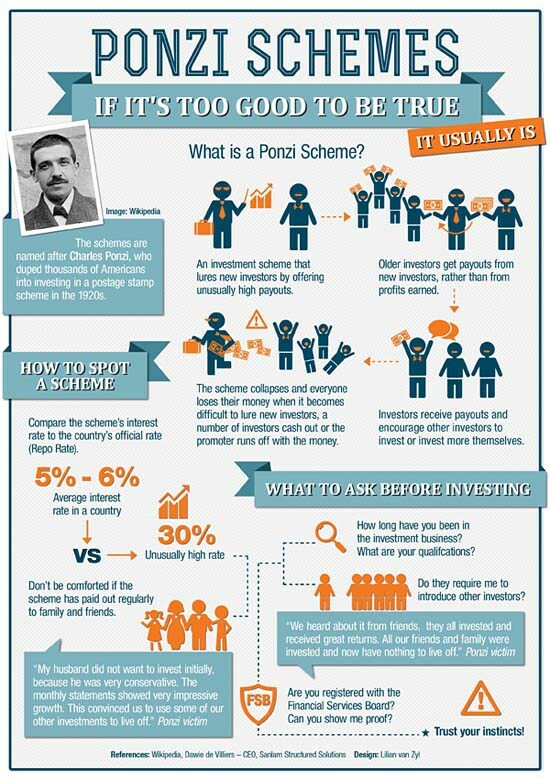 It is a PONZI scheme and you will lose money. You see, this ponzi scheme only seems different because different terminology (PH, GH, PO, BTC etc), fancy (only God knows what’s being said) videos and big grammar are at play, it’s the same “gonna collapse” scheme.